I have ALWAYS been a bargain hunter, but ever since the Aussie Dollar went down and the Japanese Yen went up (currently the only way the recession is affecting me) my bargaining skills have had to come out in full force. This has meant no new purchases, making and mending my own clothes (some progress reports on that to come this week) and a cutback on my magazine buying habits. All this so I can have a semi reasonable amount of money in Japan. 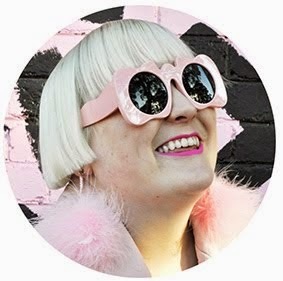 I'm kinda starting to not see the point in going, I'm going to be poor over there, even with free accommodation, and it means I will have to live with my crappy camera through another Melbourne Fashion Week in March, I think by May I might have enough money to get a better camera, yikes so far away! Anyway here are some of my thrifty recent outfits. New batwing silver dress: Footscray Savers $7.99 bought today! Velvet pumps with bow and diamonties: Vintage store in New York $20? TOTAL: 41.98 and only $7.99 of that since the "recession" started. I went to Savers today with Henry. I was so pleased to find this silver dress, it would have been perfect on New Years Eve, but oh well. TOTAL: $36 with only $15 being recent. 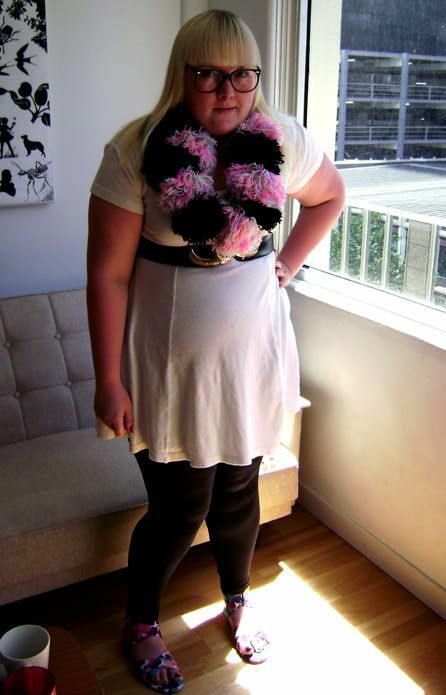 I love the Shakuhachi shoes so much, and by coincidence they match my pom pom necklace. 7.99 for that sweet batwing dress?! What a deal!! I'm a big fan of Footscray Savers: lots of nice things at great prices. Good to see recession dressing done so stylishly as well!